Ace Trucks Silver 6.5" wide from axle tip to axle tip. Ace Trucks Silver 7.5" wide from axle tip to axle tip. Ace Trucks BLACK 7.5" wide from axle tip to axle tip. Ace Trucks Silver 8" wide from axle tip to axle tip. Ace Trucks Silver 8.25" wide from axle tip to axle tip. Ace Trucks Black 8.25" wide from axle tip to axle tip. 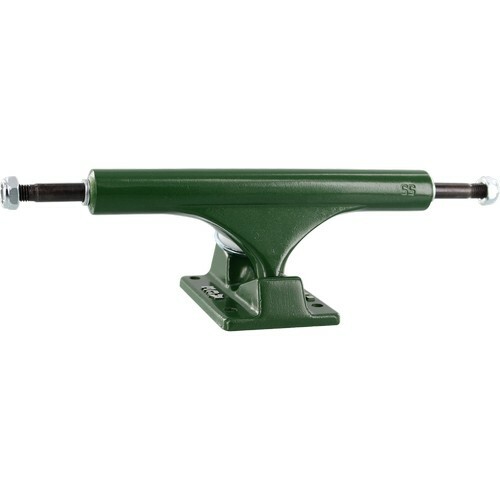 Ace Trucks 8.25" wide from axle tip to axle tip. 9" from axle tip to axle tip. 2.5" height, machined hangers, tapered to axles.